JazzErie is proud to present the Next Generation concert for 2015! The concert will be held at General Mclane High School Thursday, May 14th starting at 6pm. Admission will be a $5 donation for adults, and free for students and children under the age of 12. This years concert with feature 7 jazz bands from 6 high school jazz programs. The participating high schools will be Titusville, Harbor Creek, Ft. Leboef, McDowell, Cambridge Springs, and two bands from General Mclane. During the concert the JazzErie 2015 Scholarship will be awarded to a participating high school senior. 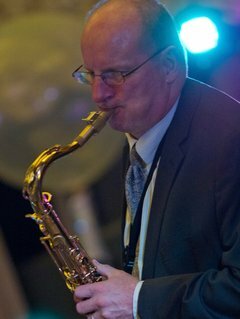 The program will end with a performance from the Misery Bay Big Band with featured saxophone soloist Dr. Allen Zurcher. This is a great way to hear and see all the best up and coming talent in the Erie area. Last years concert featuring guitar soloist, and educator Frank Singer was electric and this years concert will be no different! We hope to see you there! Below is a highlight of the 2013 concert featuring Dr Steve Hawk!